– Michael Rawlings, Dallas’ mayor, announcing his support for “Ring the Bell,” a new global campaign to get 1 million men to promise to work for an end to violence against women. 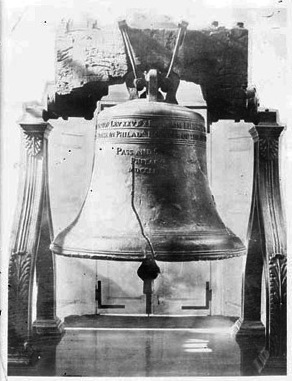 (credit for 1915 photo of the Liberty Bell) For more information on the campaign, go to your favorite social medium: the Web or Twitter or Facebook or YouTube. ← Conflict-related Sexual Violence: Room for Nuance?